3. 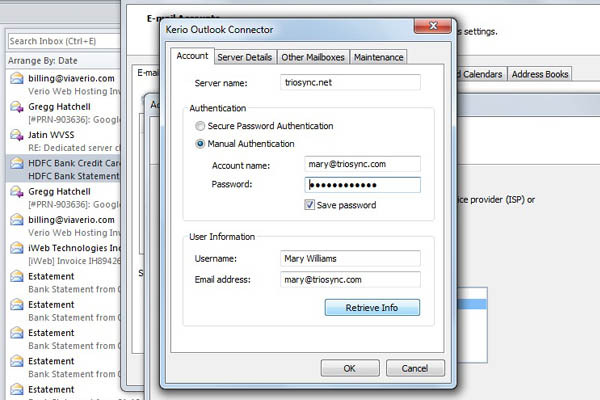 In the Account Setup Window, choose 'Other' and select 'Kerio Connect (KOC Offline Edition'. Click 'Next'. Do not cancel the setup here. 4. Enter 'Server Name', 'Account name' and Password. These are mailed to you by Triosync. 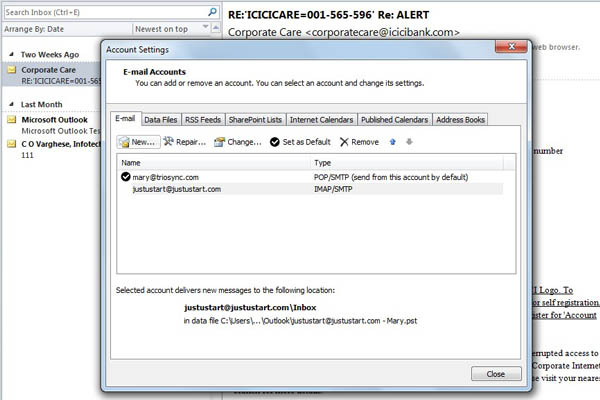 Click 'Retrieve Info' button and wait for name and email ID to appear to confirm connection with the server is successful. Click OK. Click Finish. It might take a while to complete this process. Please wait until the next window appears. Close Outlook and open again. 5. 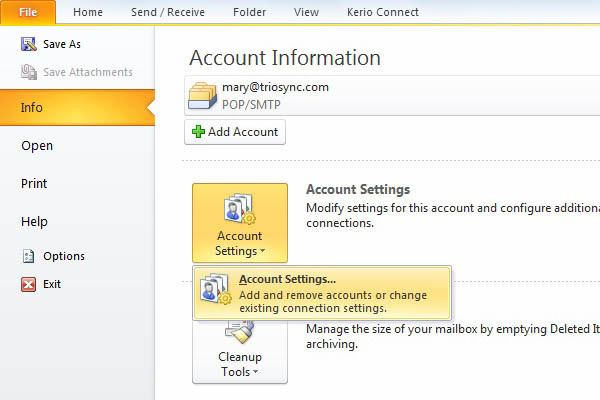 Triosync account is added alongside present accounts. Click Close. Close Outlook and Open again. 6. When opened, it might take a while for Outlook to download default folders and complete initial sync. Please wait. 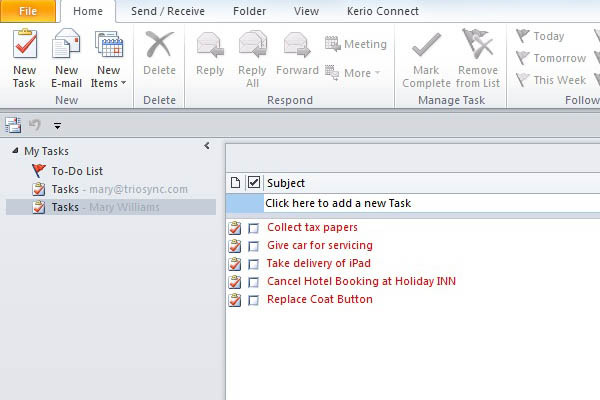 Once complete, New Mail, Calendar, Contact and Task folders would be added below present folders, with a unique name starting with 'Mailbox..'. 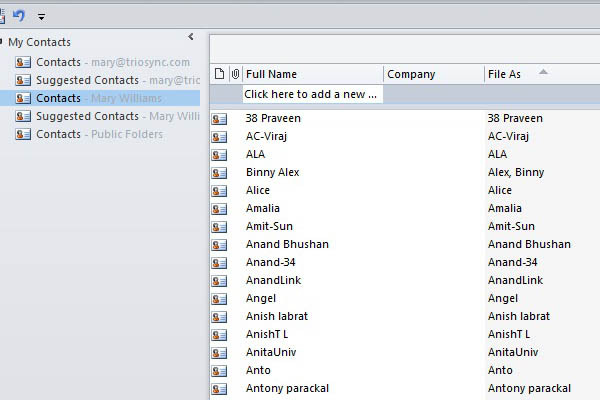 Now copy present data into Triosync folders. 7. 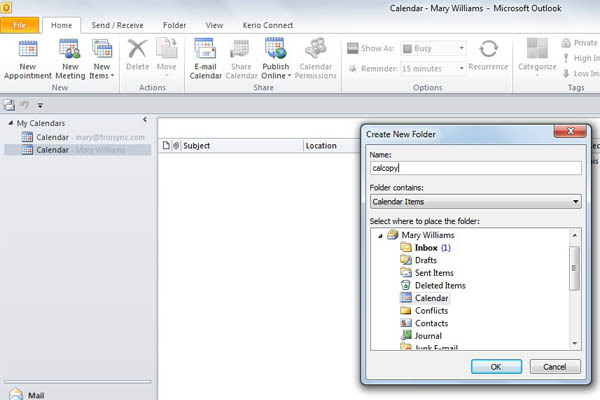 Copy Calendar data into Triosync Folder. Right click on 'Calendar in Mailbox' > New Folder > Name the folder, say 'calcopy' > OK. Click 'View' > 'Current View' > 'All Appointments'. Now select all entries from present Calendar and copy them in 'calcopy. 10. Click 'Calendar" > Click 'Copy'. 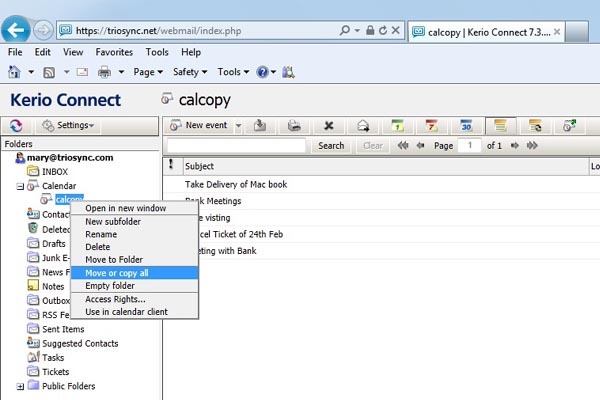 It will copy all entries from 'calcopy' folder to Triosync 'Calendar'. 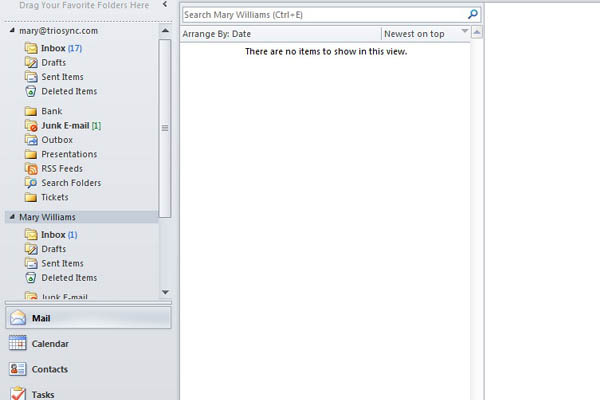 Close Outlook Webmail. Go back to Outlook. 11. Open Triosync calendar and all entries will be populated. You may delete folder 'calcopy'. 12. Open Contacts. 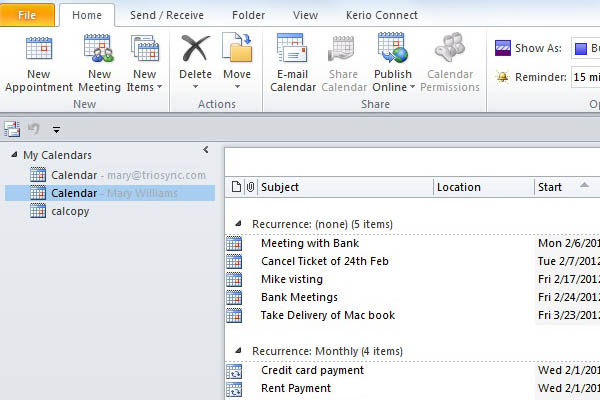 Copy and paste all contact entries into Triosync Contacts. 13. 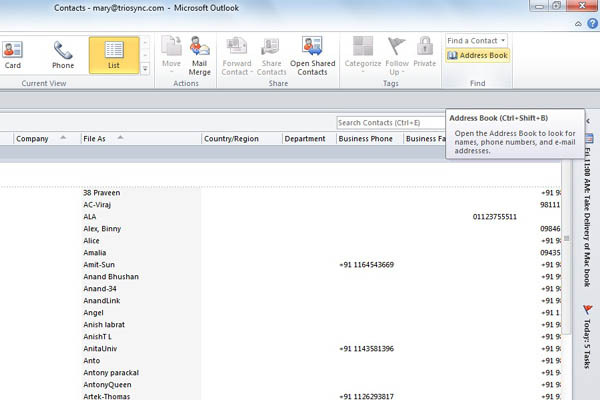 Now set Triosync contacts as default Outlook contact. 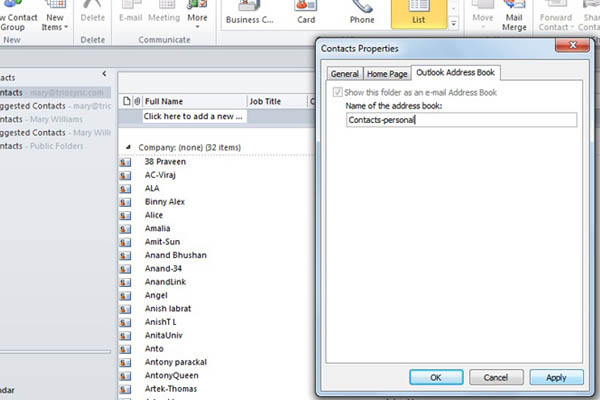 Right click present Contacts > Properties > Outlook Address Book. 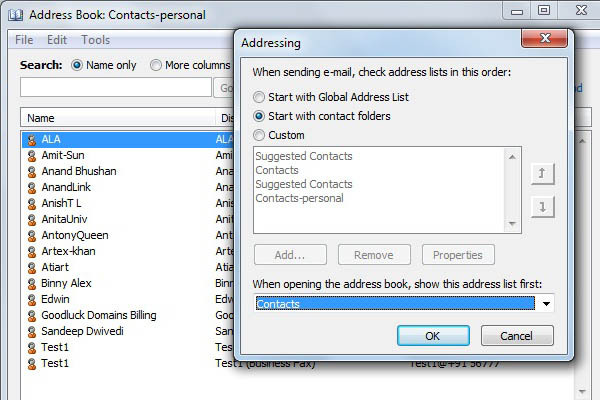 Rename Name of the address book from 'contacts' to 'contacts-personal'. Click OK.
14. Click open Address Book. 15. In the Address Book, click Tools > Options. Choose 'contacts' under all 3 windows below. 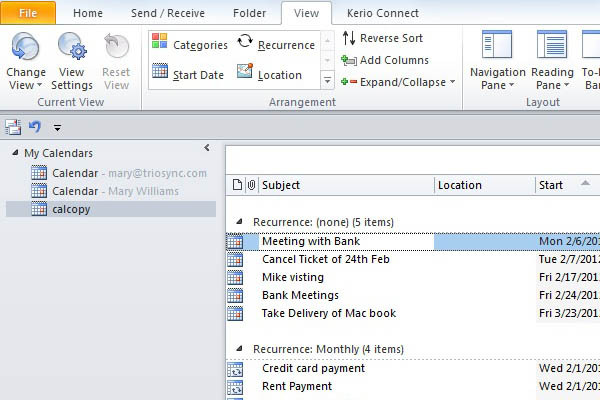 Use the upward arrow to bring up 'contacts' in the last window. 16. Open present Task folder. 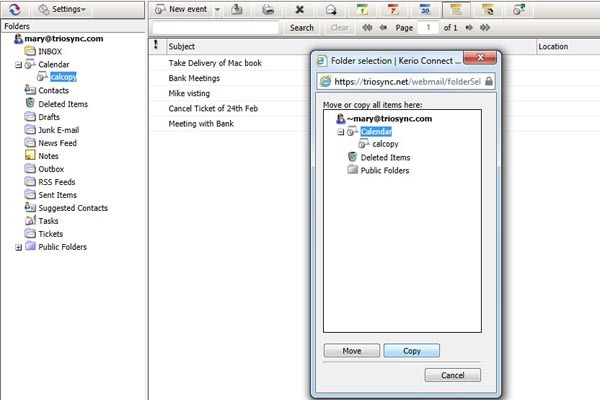 Copy and paste all entries into Triosync Task folder. Basic plan setup on Outlook is now complete. Please wait for Outlook to sync all data with Triosync server. 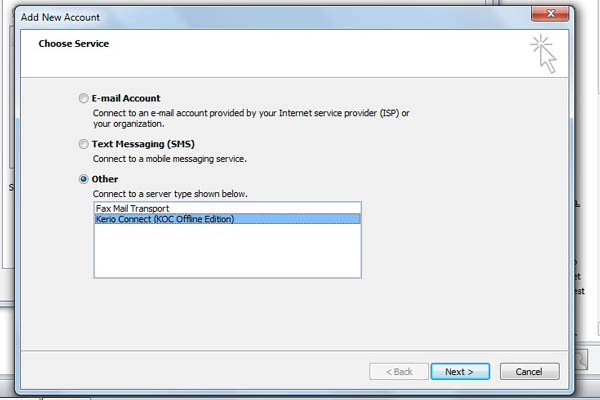 Once complete, you can configure Mobile devices via Exchange Server mode. 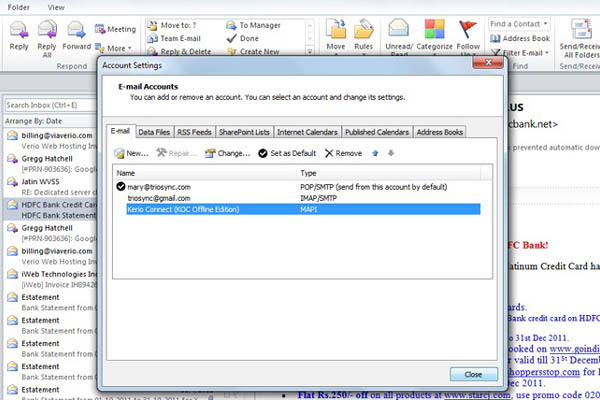 To setup Triosync on additional Outlook, follow steps 1,2,3,4,12,13,14 and add it as a new email account and set Triosync contact as default Outlook contact. Copying data not required. These would be downloaded automatically.